Remember: Tickets to our live show from NCAA nationals—the Flipping Four After Party presented by Tumbl Trak —are on sale now, and there are only 15 left! Get ’em while they exist. TICKET GIVEAWAY: Plus, we’re giving away 2 pairs of tickets! How to enter: Finish this sentence on Twitter or Instagram: “If I were in charge of the college code I would….” including #JudgeMeChellsie #GymCasticLive and tagging @MyGymJudge. Deadline: Sunday, April 14th at midnight (PST). 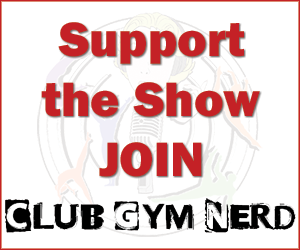 Grand Prize: At the live show, the two ticket winners (or their selected representatives) will do a Memmel impression-off to win the grand prize—a My Gym Judge session with Chellsie Memmel. Compliments of Precision Choreography. Attendees: Make sure to go straight to the event after the Flipping Four to put your name in for the amazing giveaways. Lexy Ramler and Ivy Lu. Done. What we still need to work on with this new regionals format, including meet timing and schedule, team distribution, and those stupid team prisons—now even stupider than ever! 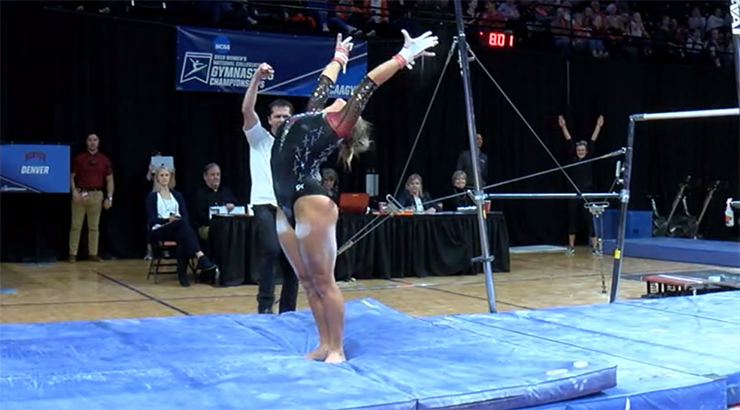 Morgan Hurd won the AA title by less than a tenth over Ellie Black, proving she is a sorceress on vault and beam, while also debuting her new floor routine. We interpret. Marz + TRUTH = yes.